and all of the lead information will flow with them. No re-typing. As you work with your leads and connect with these prospects, many of these leads will mature to qualified sales opportunities. 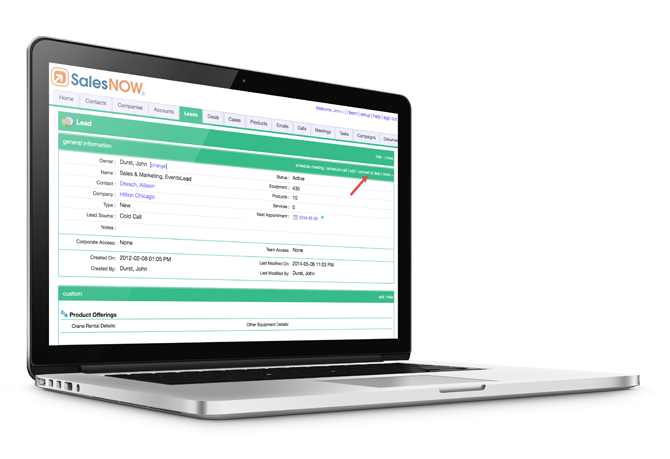 SalesNOW makes it easy to convert these leads into deals which can be fully tracked within your sales pipeline. All of the information associated with these leads - including call notes, meeting notes, emails, attachments, and more – will be transferred over to the new deal record. No retyping required. 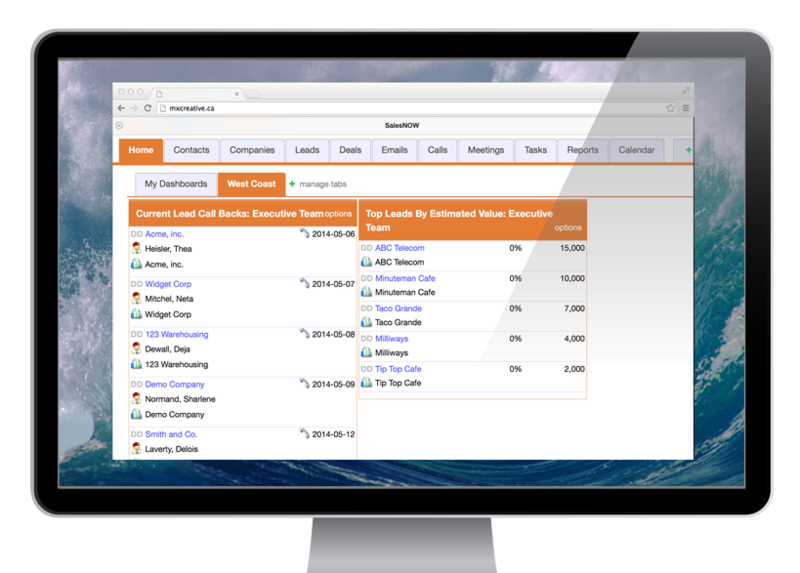 All of the information related to lead records is retained as leads are converted to deals. Any leads that become inactive will be identified and the reason that they became inactive will be available for reporting purposes. Valuable information, such as how long it took for the rep to follow-up on their leads, how many of their leads were converted to deals, which of these deals closed and from which lead source, will be available with the click of a button. No lead falls through the cracks.